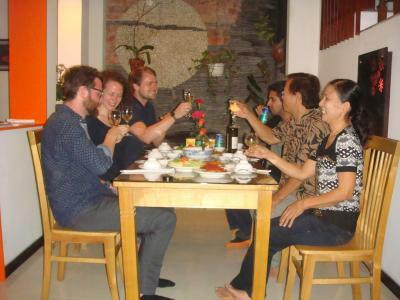 Lock in a great price for Green CoCo HomeStay – rated 9.5 by recent guests! 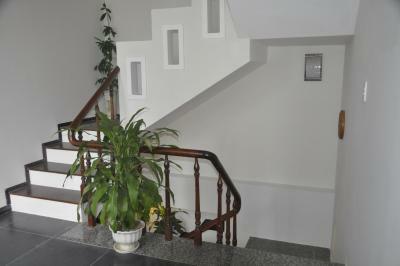 This is a beautiful homestay with spacious rooms. 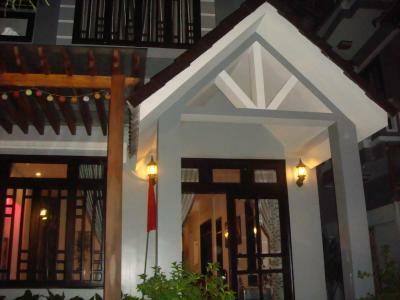 Very clean, a 10 minute walk to Old Town Hoi An, the most beautiful city in the world at night when it is lit up with lanterns. 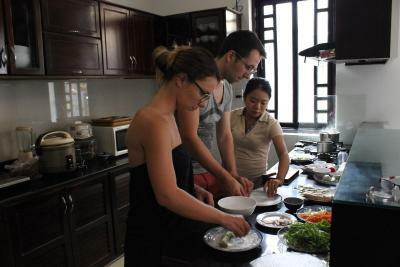 The owners are sweet kind people and I had the best Pho in Hoi An here at the homestay. It is a wonderful house, the bedroom and bathroom were the best! 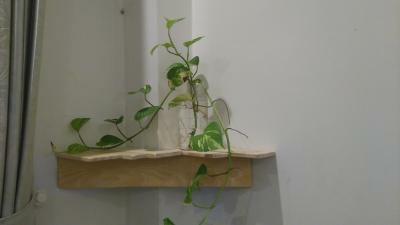 The owner spoke a very good English, which is quite rare to find. 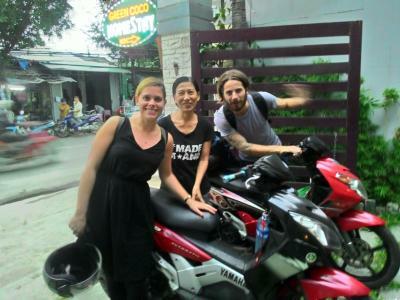 I rented a bike and a scooter with them, and they were very helpful at getting me a bus ticket to another city. Beds were extremely comfortable and the room was very clean! 5 min by foot to the old town. Great hosts, speaking English and French. Everything was just amazing! I love the location: walking out the door, turning left and staying on that one street all the way into the heart and hub of the city! So easy!!! The host goes out of her way to make you feel totally at home. At first I wasn’t sure about that but soon loved it (coming from a 50 year old introvert). She arranged absolutely everything that I wanted to do, including being picked up and dropped off at airport. I suggest getting the breakfasts as they are wonderful!!!! I admit to spending countless hours going back and forth between places before booking. 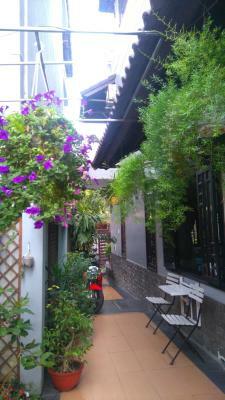 You have many choices when staying in Hoi An but I seriously recommend Green Co Co Homestay! I am so happy I did! My host was amazing and really made me feel like I was family. She made sure we knew where to go and how to get there. Not to mention her cooking was OUTSTANDING!! I would go back again and again and again because it was that wonderful! Very nice property. For the price we got an amazing room with lots of space and a clean private bathroom. 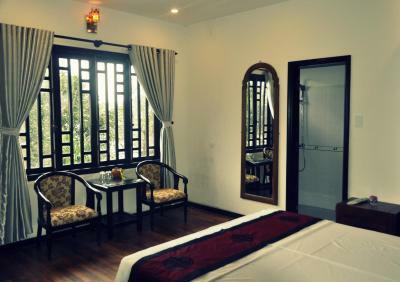 We had only planned to stay one night but ended up staying an extra 2 nights and the owners were very accommodating. Old town is only a 10 minute walk away. 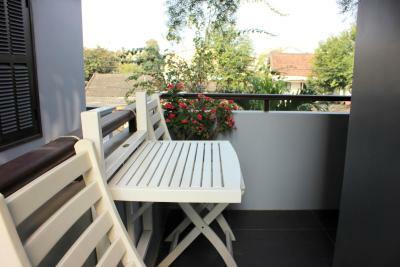 great location , so close to the old town. 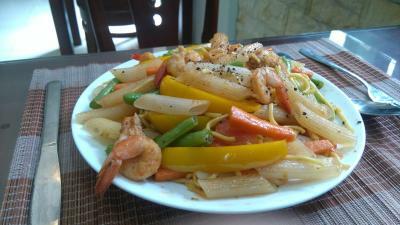 the owner is so friendly , and cooks really nice Vietnam food ! the room is very clean and modern. 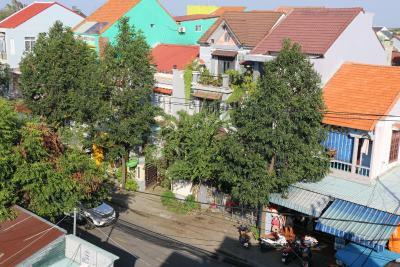 definitely gonna stay here again next time in hoi an. 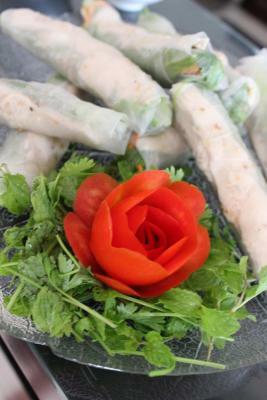 One of our best sellers in Hoi An! 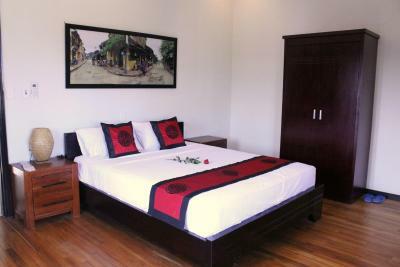 Strategically located in Hoi An, only 10 minutes' walk from local markets and mini marts, Green CoCo HomeStay offers peaceful and comfortable accommodations with free WiFi access in the entire property. It operates a 24-hour front desk and features a common lounge area. 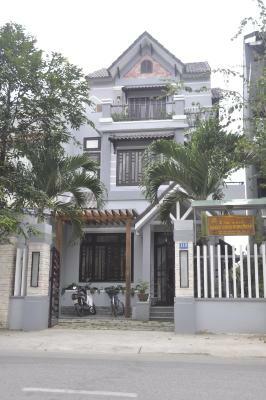 It is about a 1-hour drive from Danang International Airport and Danang Railway station. Fitted with parquet flooring, air-conditioned rooms include a wardrobe, mosquito net, mini-bar and a flat-screen TV with cable channels. 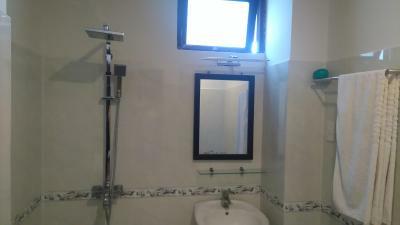 The private bathroom comes with towels, shower facility and free toiletries. 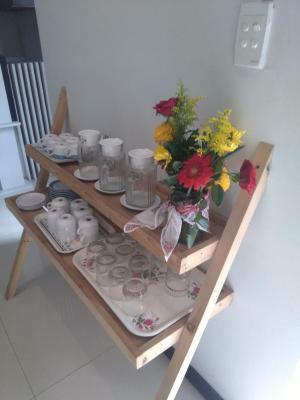 At Green CoCo HomeStay, guests can approach the friendly staff for assistance with luggage storage, currency exchange and laundry services. Tour activities and transportation services can also be arranged. 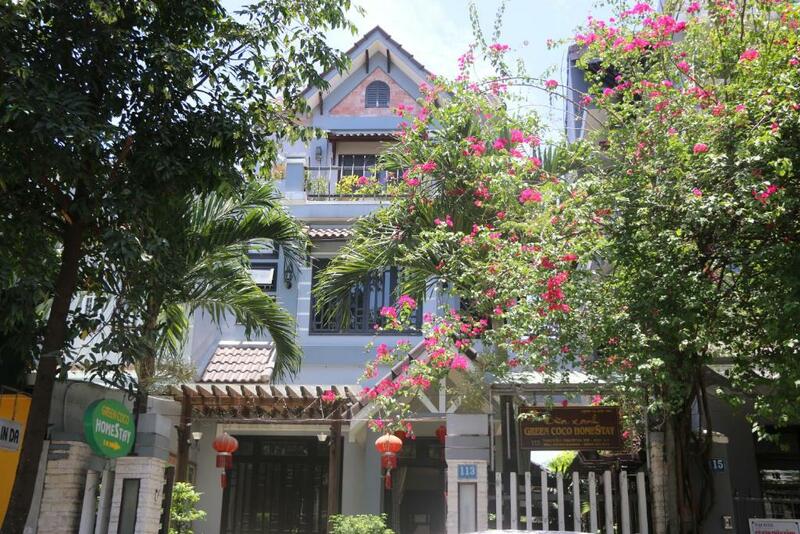 The property is just 1,950 feet from Hoi An Historic Museum and Assembly Hall of the Fujian Chinese Congregation. 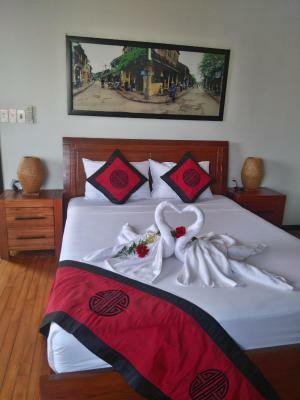 It is located less than 10 minutes from An Bang Beach and Cua Dai Beach by car, 1.9 mi from Tra Que vegetable village and about 10 minutes from Kim Bong Carpentry village by car. Ngu Hanh Son Mountain is 11 mi away. 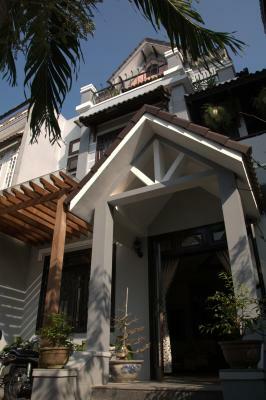 뀐 Located in the top-rated area in Hoi An, this property has an excellent location score of 9.3! 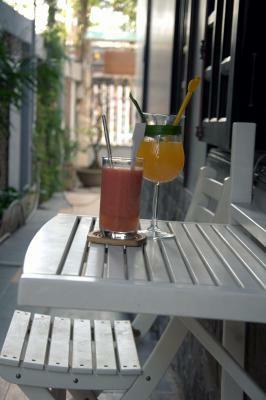 When would you like to stay at Green CoCo HomeStay? This family room has a mini-bar, sofa and air conditioning. 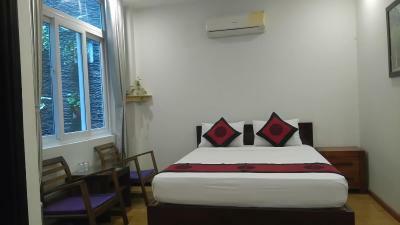 This double room features a private patio with outdoor furniture, seating area with cable flat-screen TV and private bathroom with free toiletries. 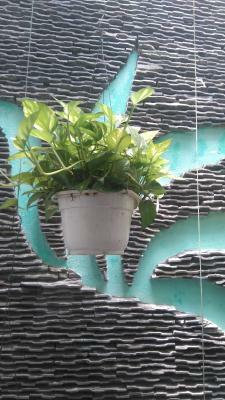 House Rules Green CoCo HomeStay takes special requests – add in the next step! Children 7 and older are allowed at this homestay. 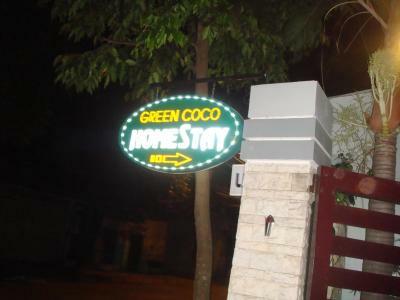 Please inform Green CoCo HomeStay of your expected arrival time in advance. You can use the Special Requests box when booking, or contact the property directly using the contact details in your confirmation. It's a small thing, but you don't get a key to the front door with your room key, and on check in it was made clear to me that they wanted you back by midnight. They offered to sort something out if you told them in advance...but that's hard because you often don't really know what you'll end up doing on a holiday. I got the impression that coming back after 12 would be an inconvenience to them. I'm no party animal, but one night when I met up with a friend for dinner/drinks, I ended up having to cut the evening short and rush back home which was a shame. If they could give you a key, to give you freedom, then this would be the perfect place to stay in Hoi An. 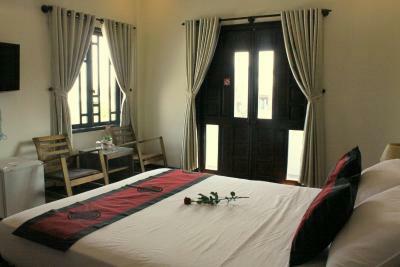 My room was excellent - the best I had in Vietnam! It was a good size and very clean with a really comfortable bed. 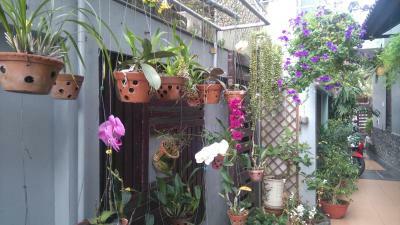 I also had a lovely patio with garden furniture and a minibar which was reasonably priced and thus very convenient - I enjoyed chilling with a few drinks on the patio away from the hustle of the city . They made up my room daily which was nice, and they offered breakfast for an additional price if you wanted it. 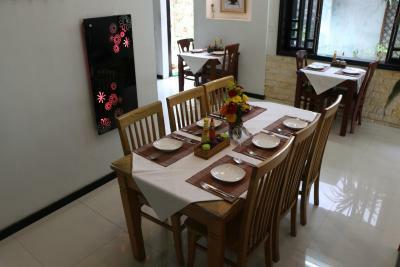 It was a 10 minute walk to the old town and overall very good value for money. A slight language barrier perhaps but this was minimal. 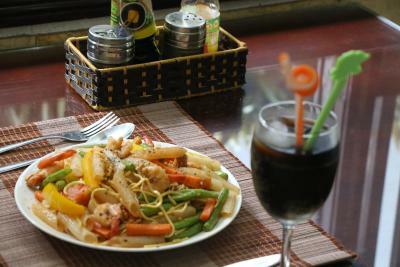 Lovely Mrs Cuc was very sweet and accommodating. The house is beautifully decorated and the rooms had everything we needed: towels etc The location was a short 5 or so minute walk to the old town. We rented a bicycle to go to the beach which took 30 minutes and quite hectic traffic wise! Great value for money for a budget traveller! This property was exceptionally clean, I had a warm welcome when arriving after a long trip. 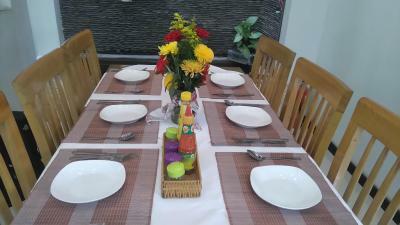 It had a warm homely vibe and the family were lovely, very helpful and caring. I liked it all. Would have been great to have kettle etc in room but hostess provided thermos upon request (along with fruit knife). Room a little noisy as balcony overlooked street but at night all quiet and aircon provided ‘white noise’. Accommodation truly only 10 mins walk from old town and almost opposite large Catholic Church (Mass in English 4pm Sunday) - any niggles minor and would not hesitate to stay here again. 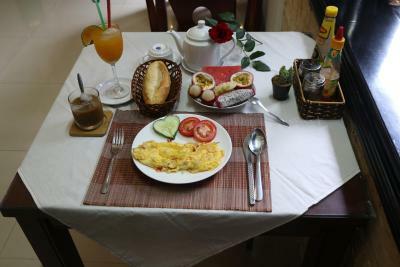 Spacious, very clean, excellent breakfasts (Vietnamese options fab), very helpful, kind staff, very comfortable bed and very good shower. Bicycles available, nothing too much trouble and reasonably priced private car transfer to airport on leaving. Lots of restaurants, cafes, silk shops, souvenir and historical buildings close by. Also only 15 mins walk to edge of rice fields. 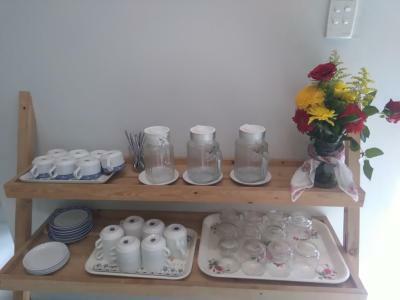 Green CoCo Homestay is absolutely amazing, the facilities are modern, location is fantastic and the host Mrs Cuc is lovely and very helpful with anything you may need! She even helped us recover a lost wallet! 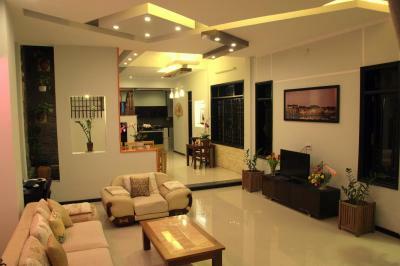 The house is a lot bigger than the pictures let on, modern, cosy and very inviting. 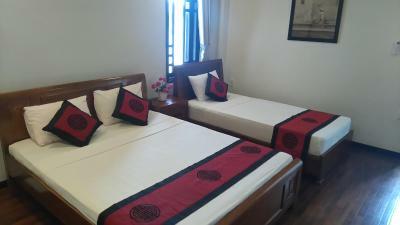 The rooms are kept very clean and the bathroom (although an Asian style 'wet' room) is very large which made things easier. 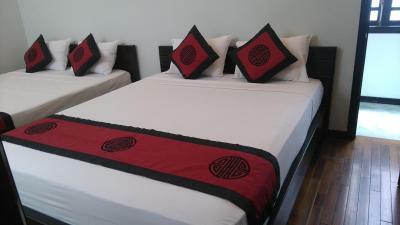 The beds and pillows were super comfortable and toiletries are also provided. Mrs Cuc also provides an amazing breakfast if you wish to purchase it! The location is fantastic as it is close to Hoi An old town (about a 10 min walk and half that time if you rent bikes from Green CoCo), which is the main tourist area in Hoi An, but it is also close to the best restaurants and food stalls which are all mostly located further out. WiFi in the patio area was poor. 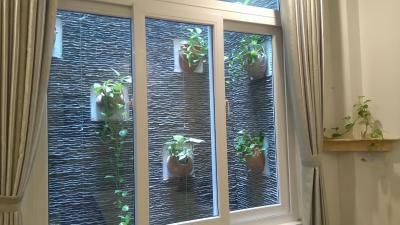 We stayed for 5 nights in the double room with patio. 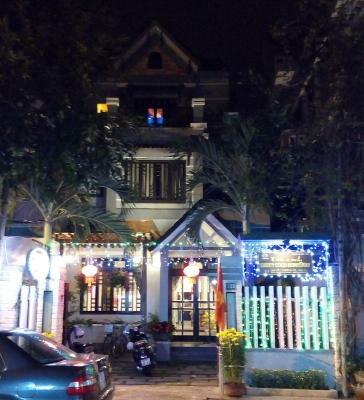 This was 100% our favorite place we stayed in our 3 1/2 week trip in Vietnam. The family was wonderful, the location was close to the ancient town but a few blocks away so it was nice a quiet at night. The patio was an amazing space and very comfortable to hang out on. 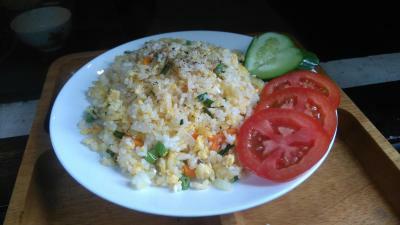 Breakfast was lovely and freshly made every day with a good selection of Western and Vietnamese options. The bed was comfortable, A/C worked well as did the hot water. WiFi was solid but not amazing. 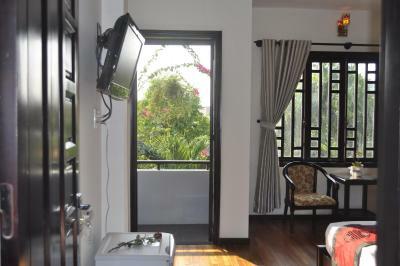 We feel very fortunate to have chosen to stay here and would absolutely stay here again should we return to Hoi An. 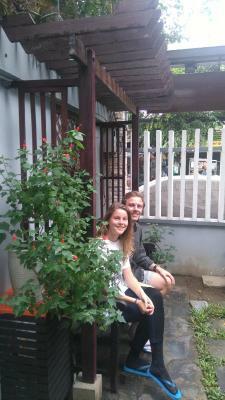 We loved staying at the Green Coco Homestay. Cuc was a lovely host, one of the nicest people we have met so far on our travels. 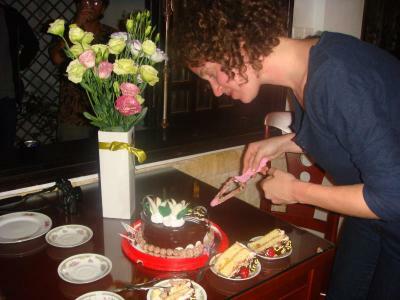 She and her husband maintain a beautiful house and take good care of their guests. Everything was spotlessly clean, the bed was comfy, and the location was great. We would highly recommend having breakfast at least one morning during your stay—I got banana pancake, and my friend got mi quang and both were delicious! We keep talking about how nice it was to stay at Green Coco. 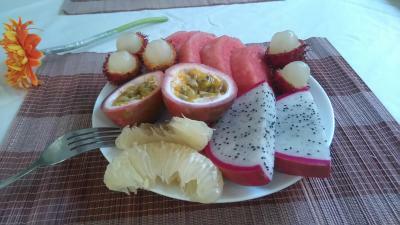 Very central, good fruits for breakfast and very nice room. 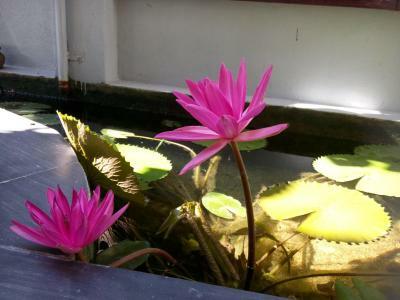 I stayed few days at coco green Homestay and everything was perfect. 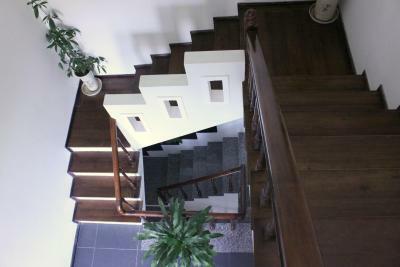 Great location, the house is beautiful and the owners are soooo kind. Thanks for them for all the tips they gave me. I highly recommended that place ! Excellent value for money. We picked the budget room but upgraded for an amazing terrace room for a very reasonable price. 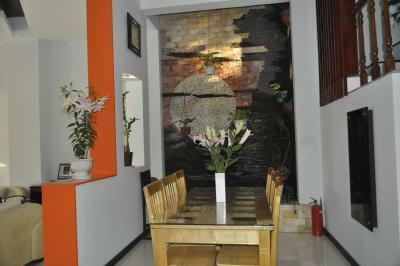 Location is great, quiet at night, but less than 10 min walk to the old city. 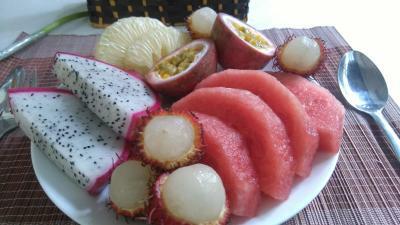 There is the local market just around the corner with fresh fruit and lots of cheap lunch options. The owners are so nice and friendly. The lady of the house arranged pick up and drop off at the airport for a very reasonable price and when we had a flight change and couldn't let them know in advance (expensive roaming), she send the driver promptly. We were traveling with a 1.5 years old toddler and this place was great for his needs. Local kids in the nearby park and a matress the owner provided to sleep on were just an extra bonus. We couldn't be happier! the family is so kind and it's super clean-one of my best host in asia! :) And they organised a taxi to the airport-really,really nice!